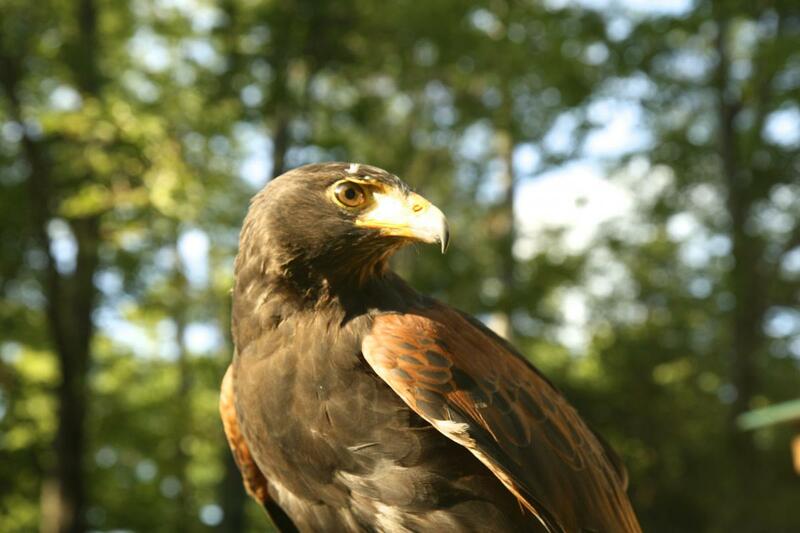 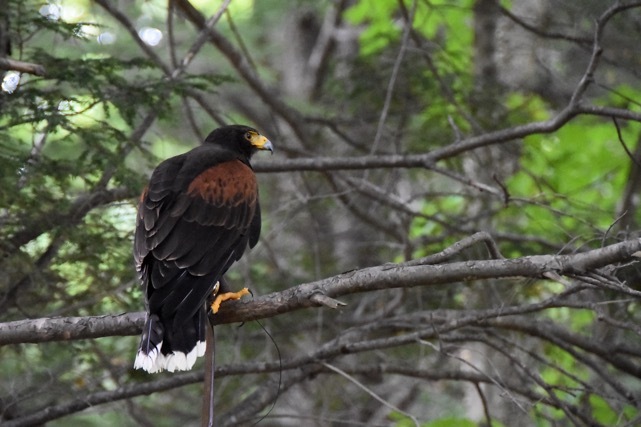 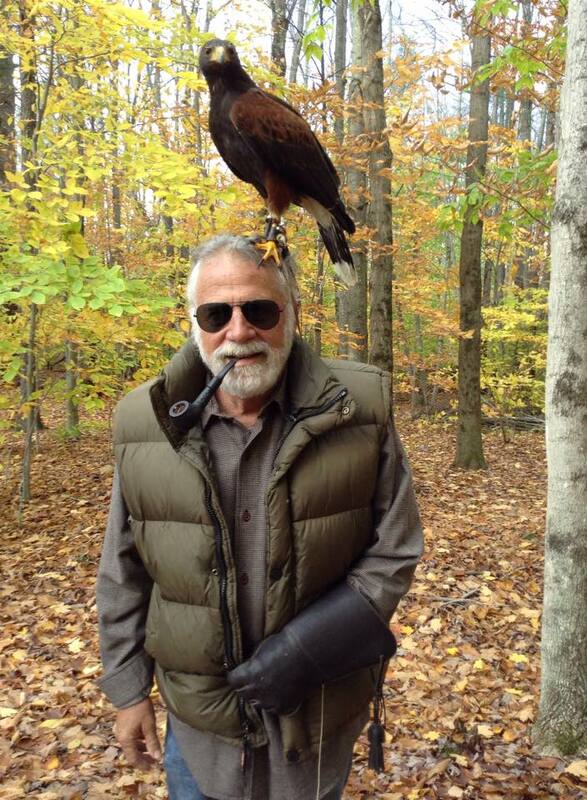 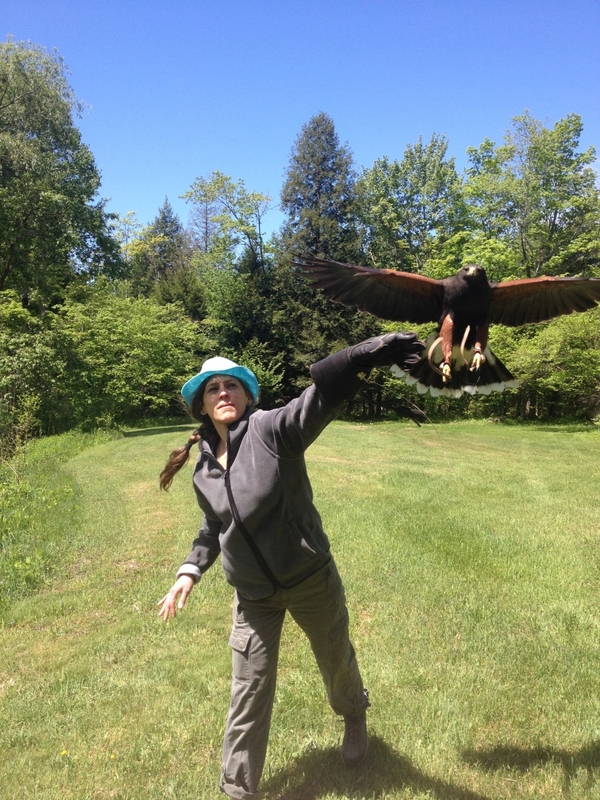 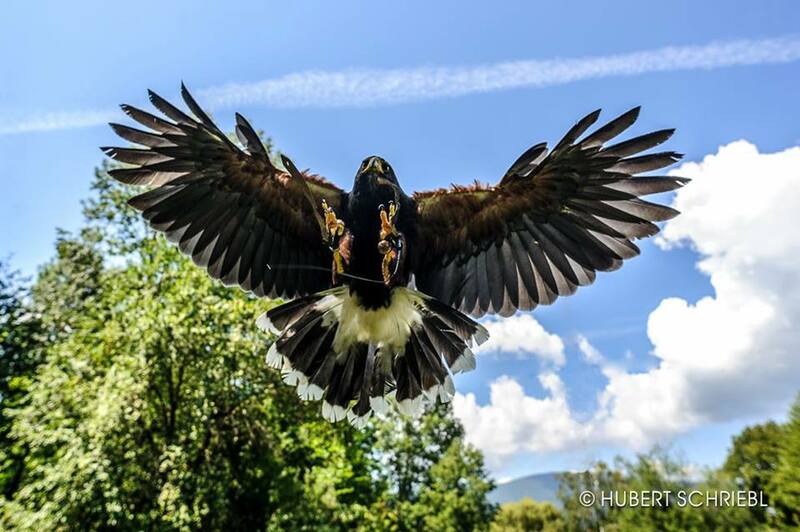 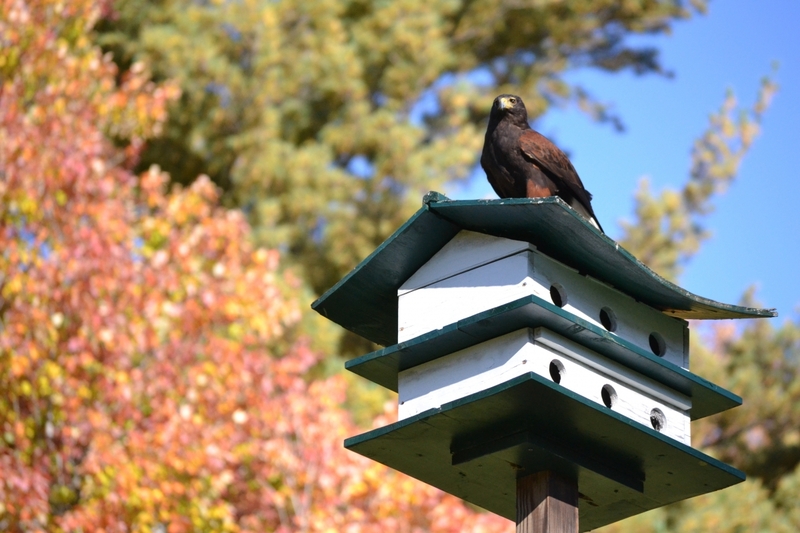 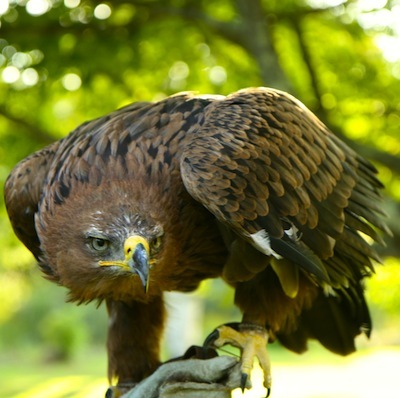 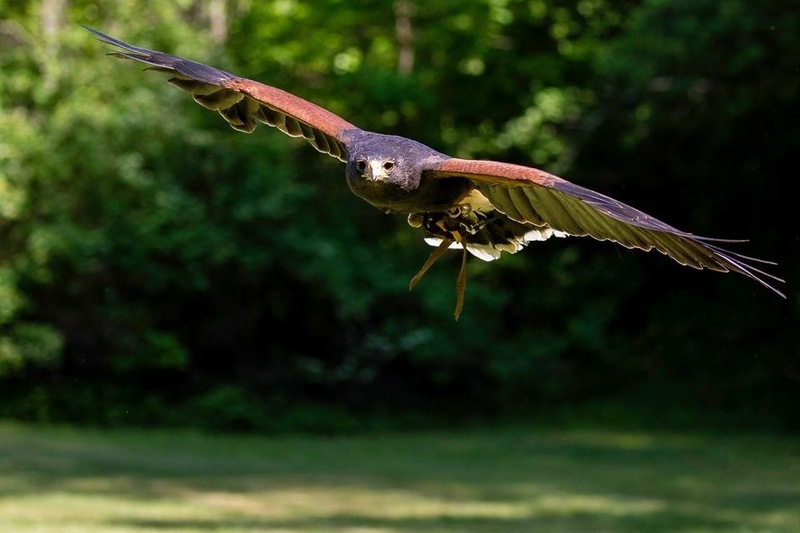 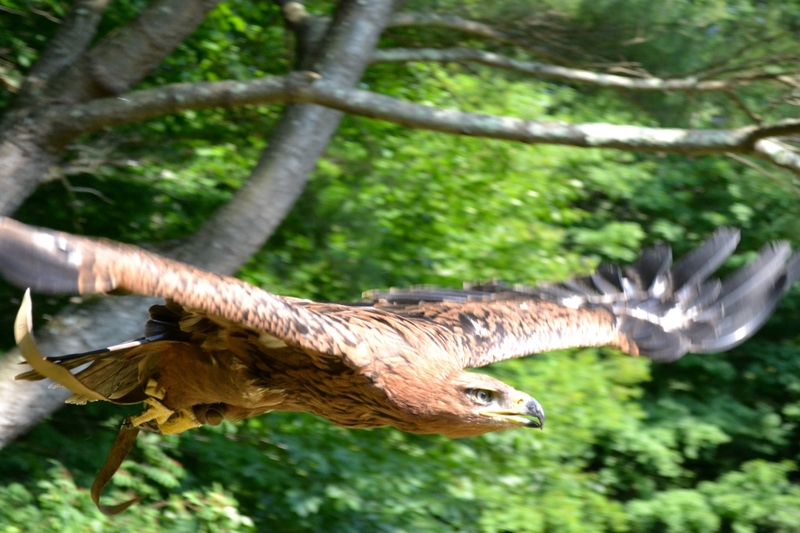 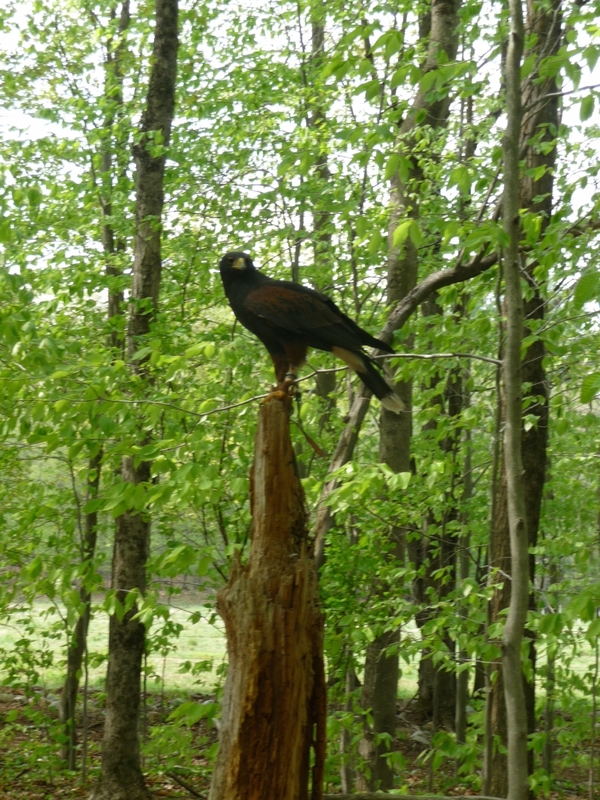 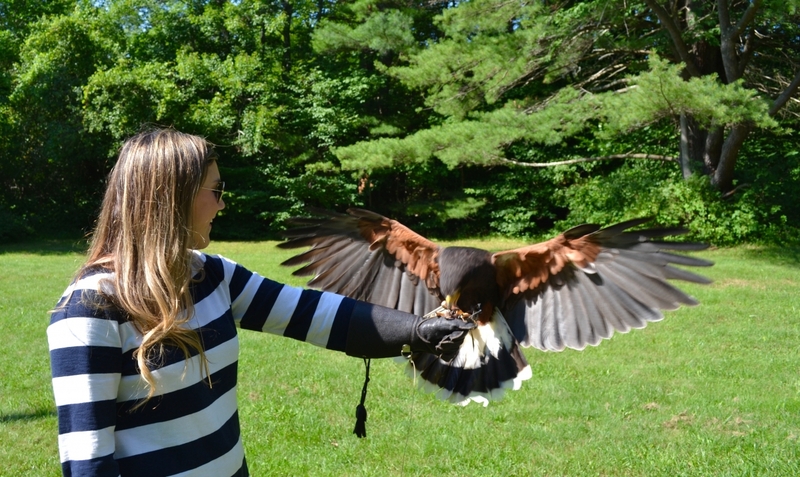 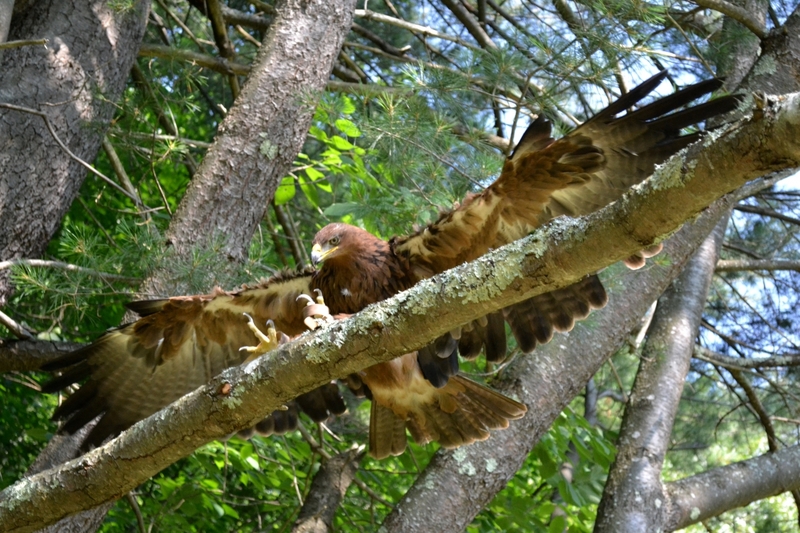 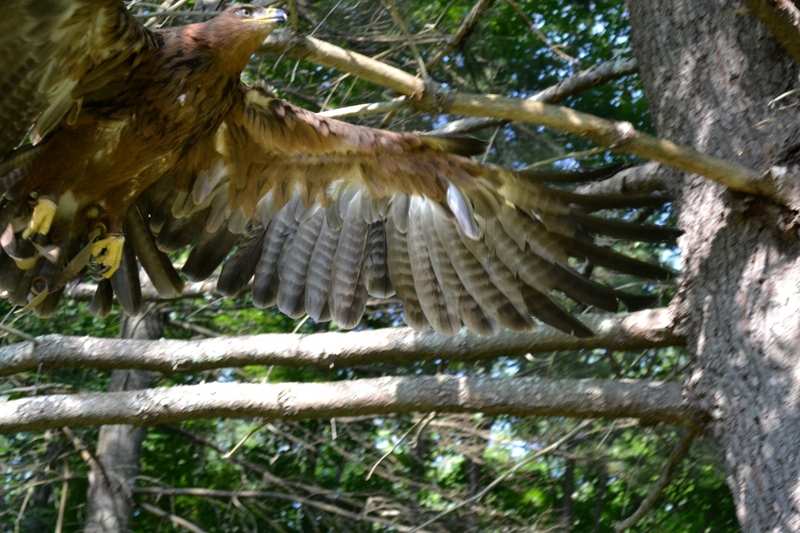 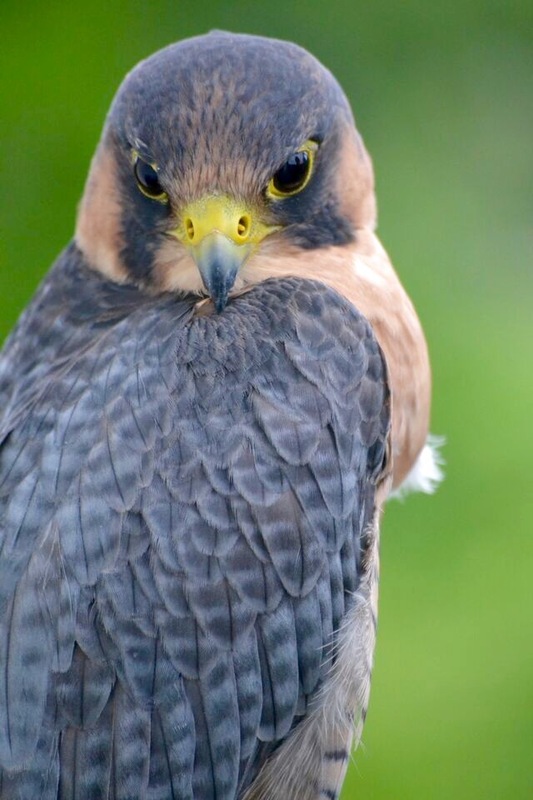 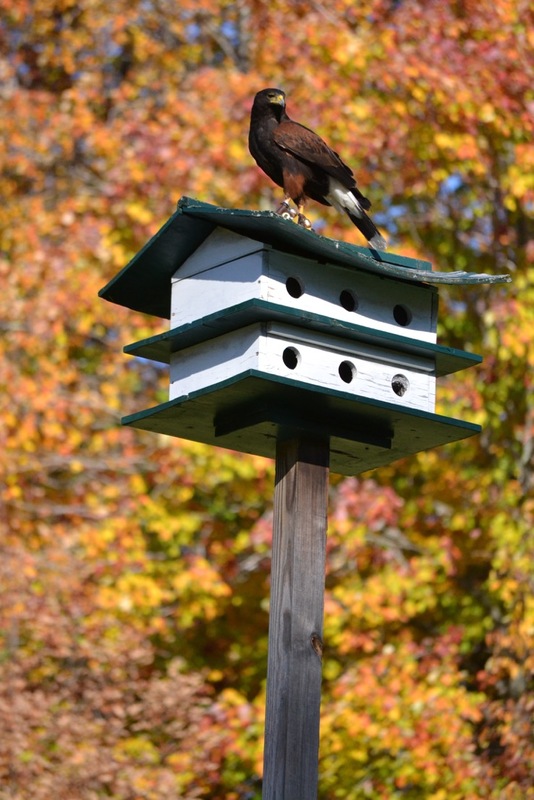 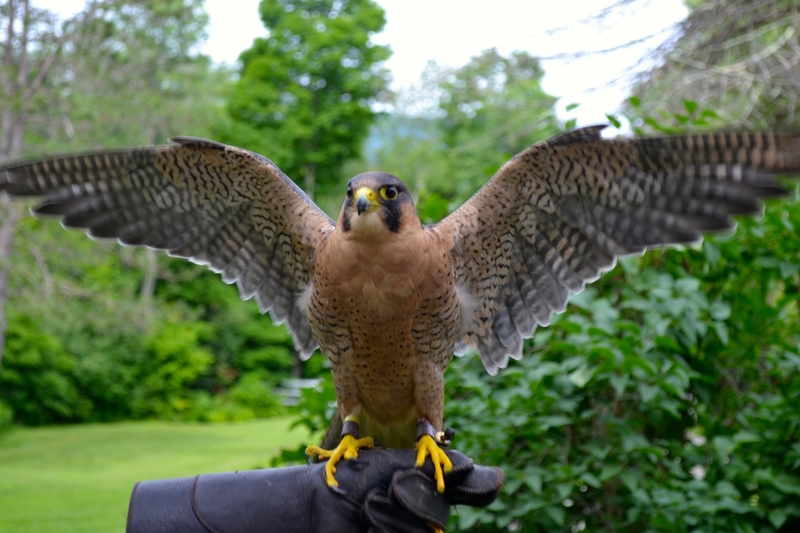 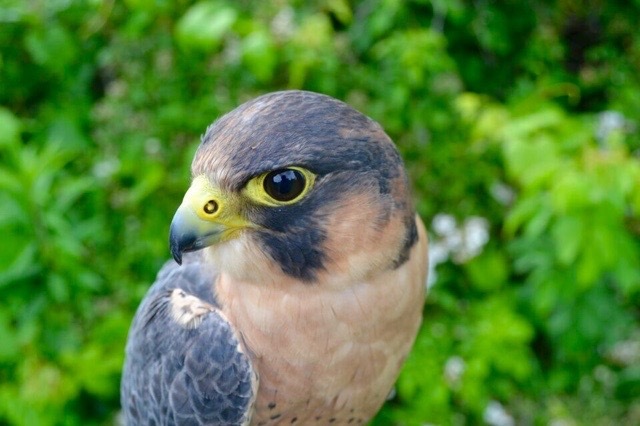 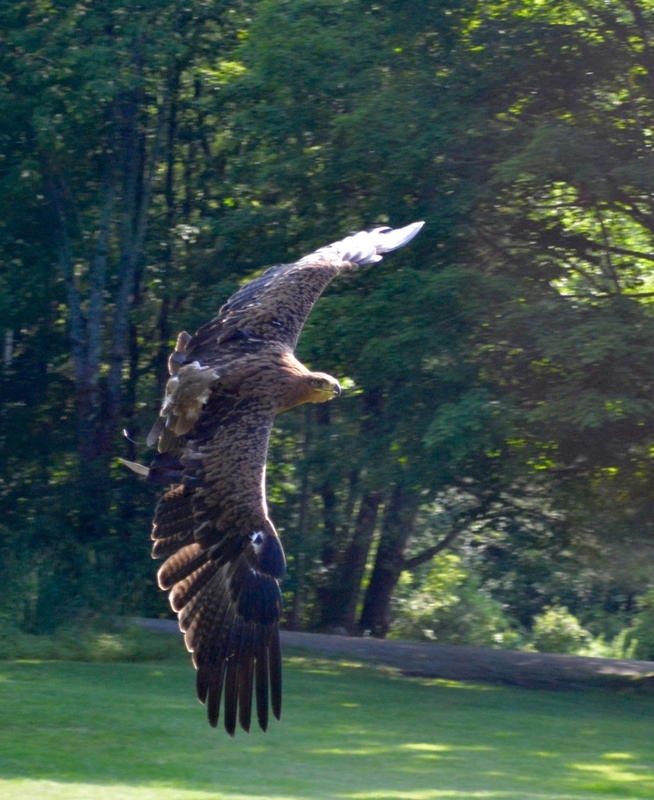 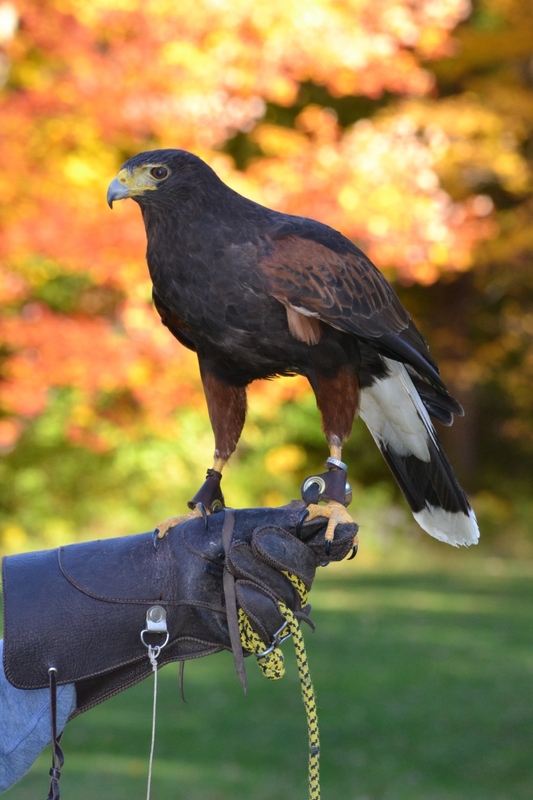 Green Mountain Falconry School - Experience the exhilaration of handling and flying a trained Harris Hawk in the beautiful setting of Vermont’s Green Mountains. 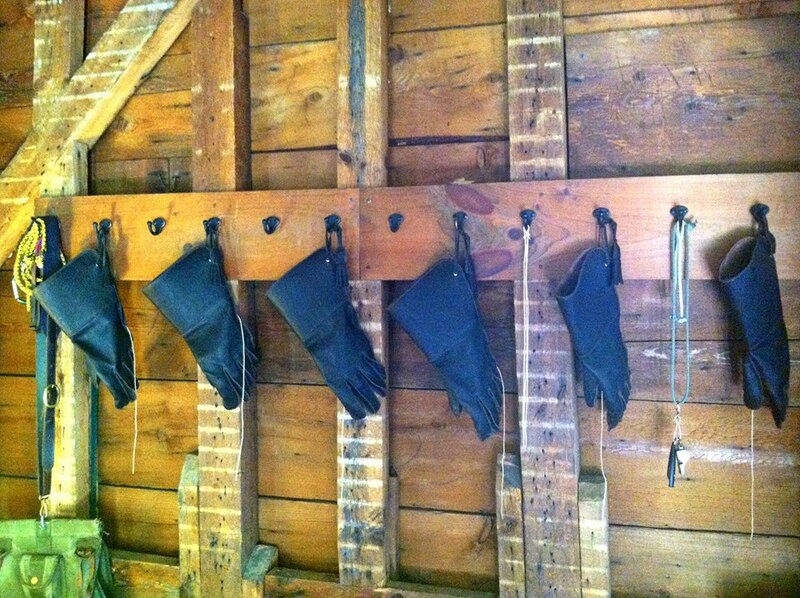 Closed for the winter season. 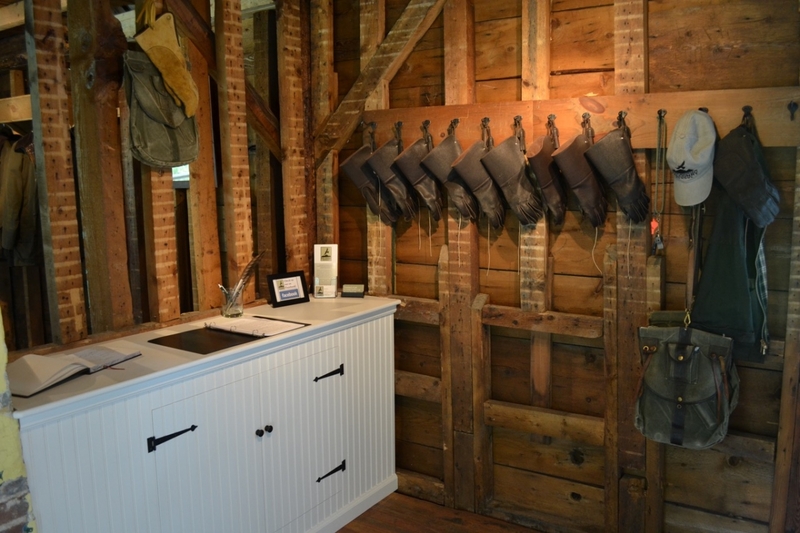 Reopening May 1st, 2019! 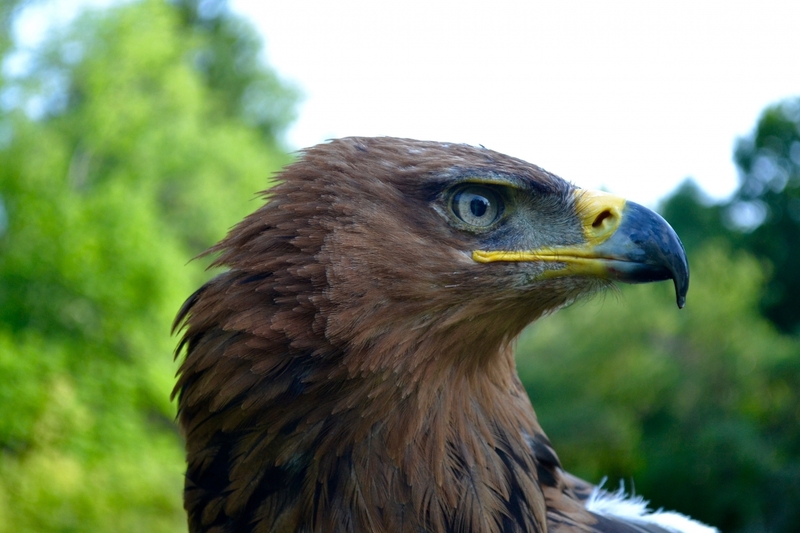 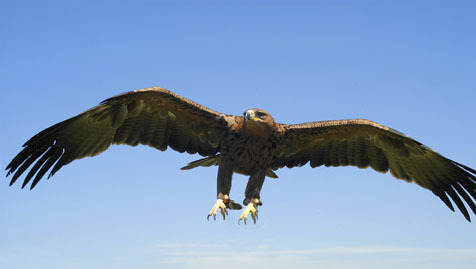 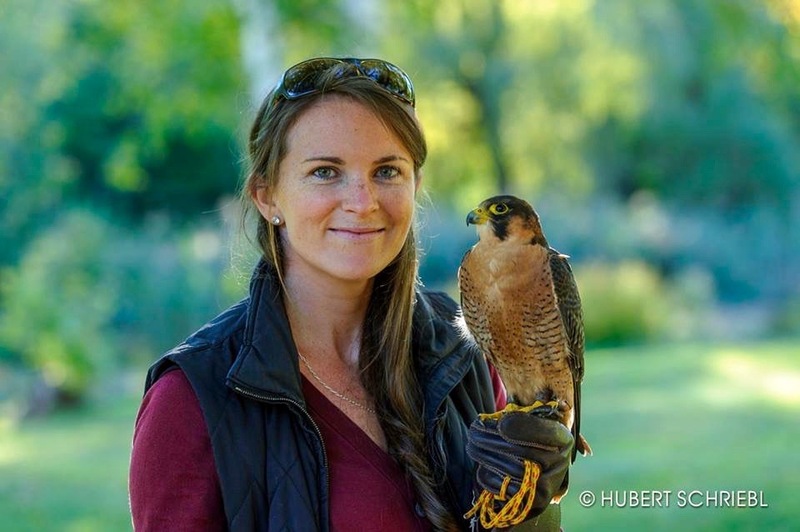 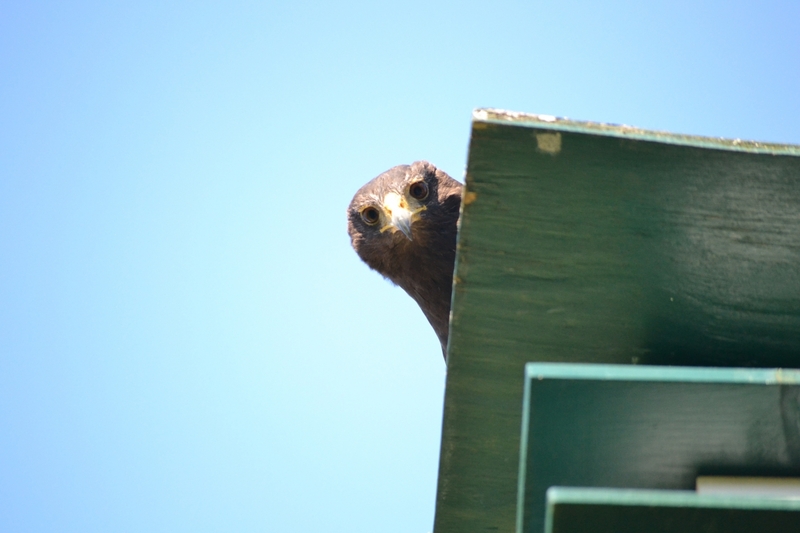 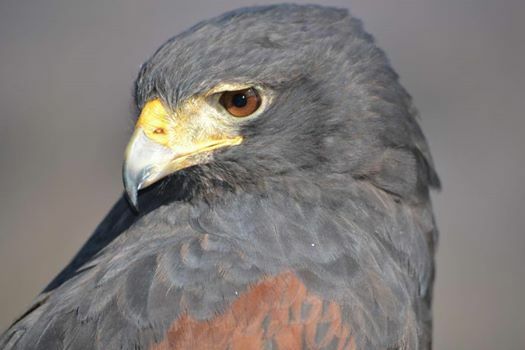 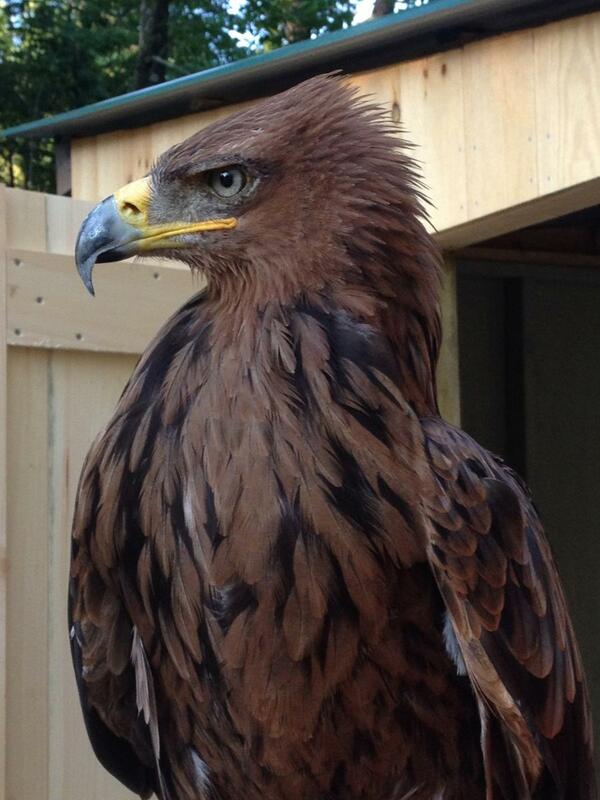 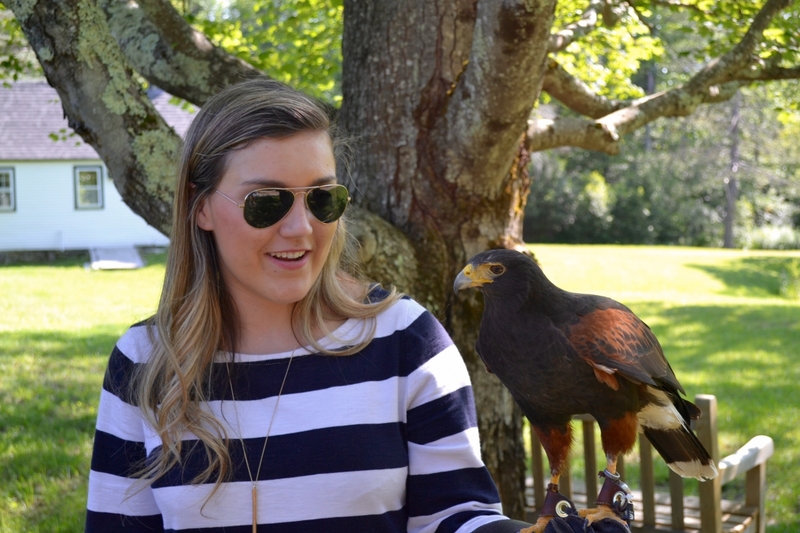 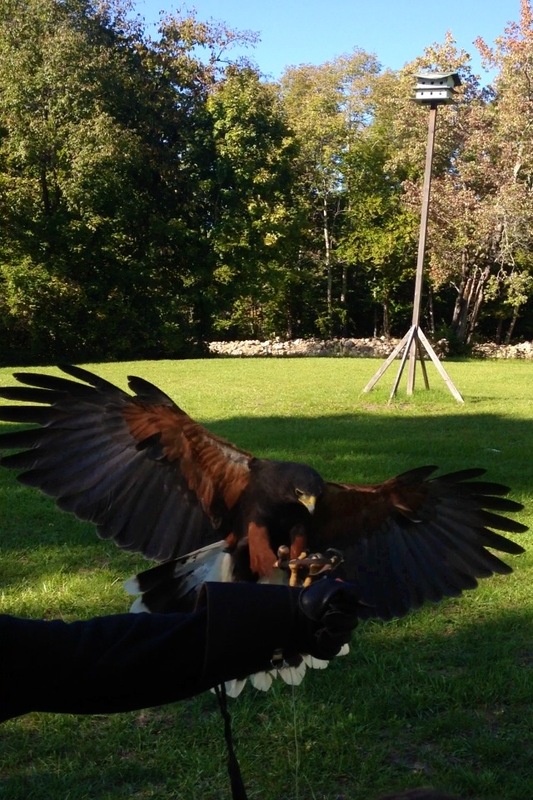 Learn how to handle and fly a Harris Hawk! 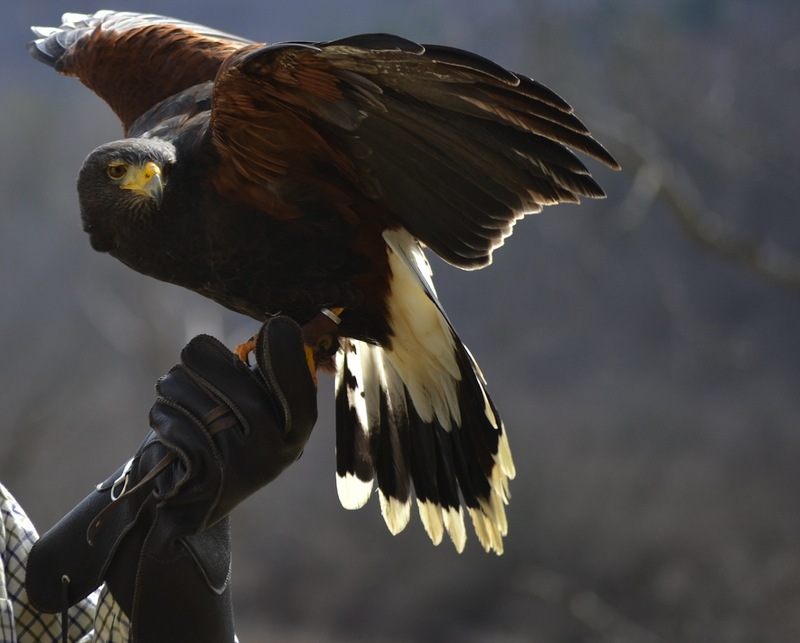 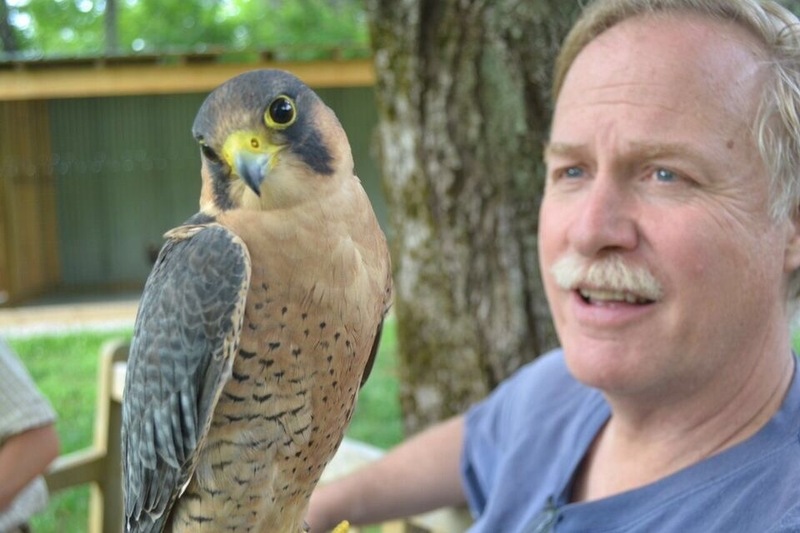 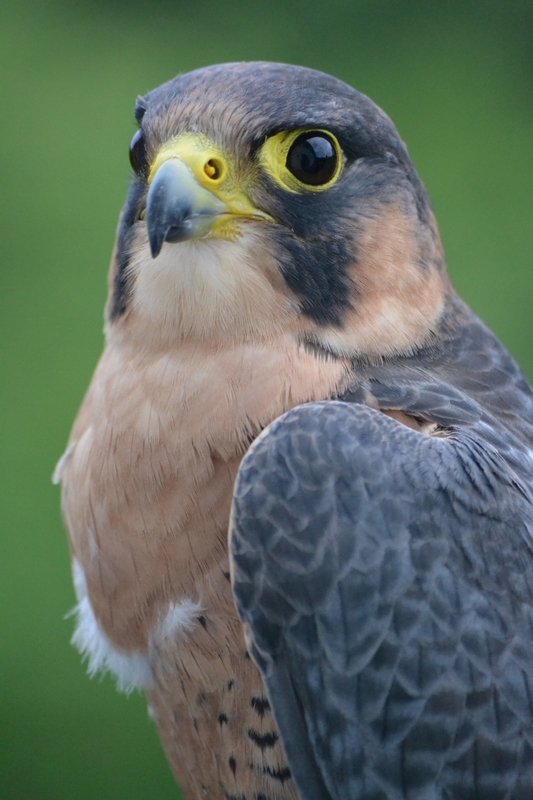 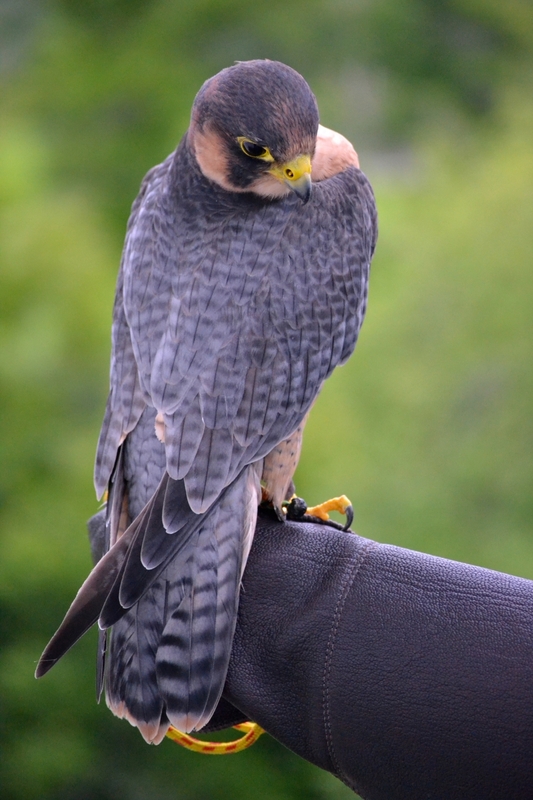 Learn about this ancient sport from a Master falconer! 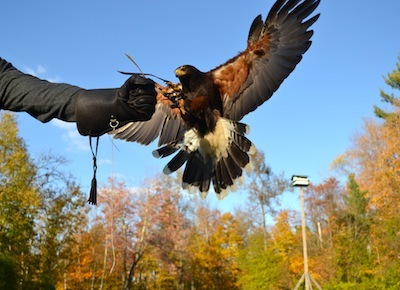 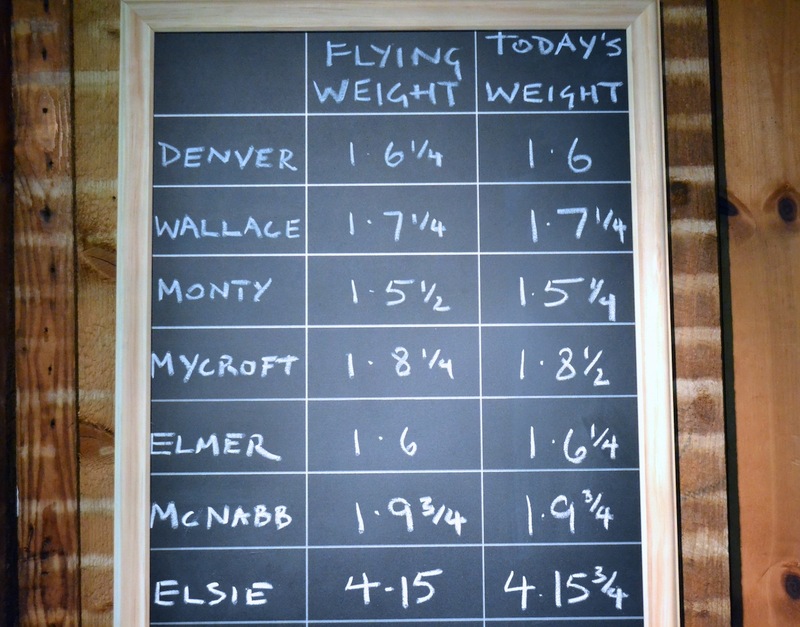 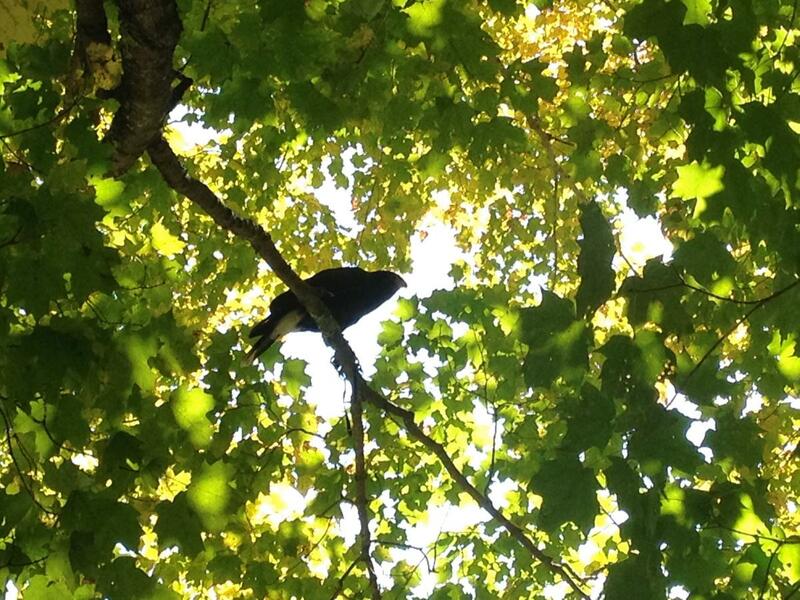 Learn how the birds are trained! 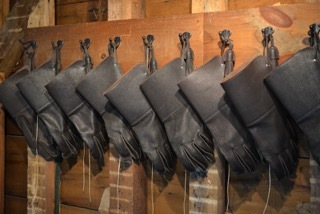 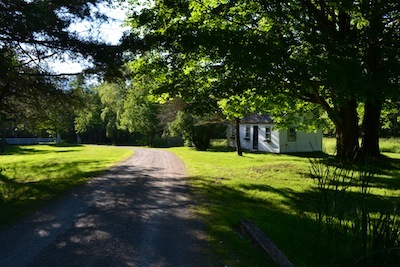 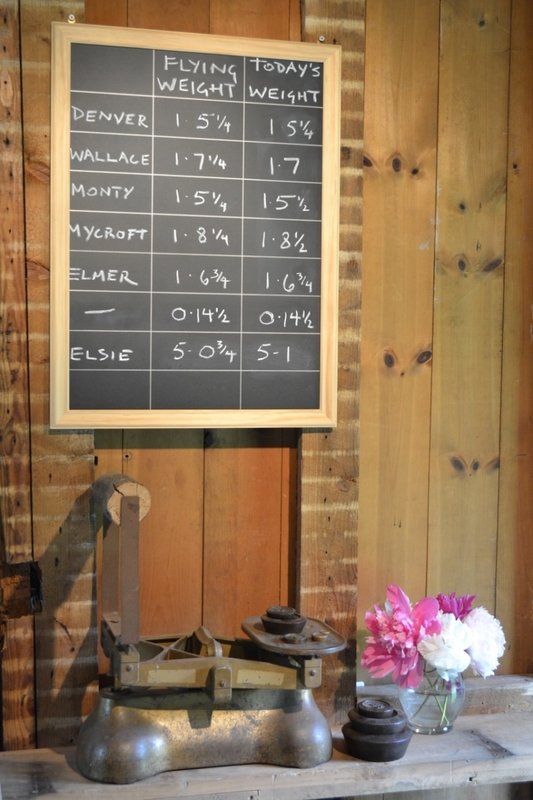 GMFS is located in Manchester, VT on a picturesque farm with the stunning backdrop of the beautiful Green Mountains. 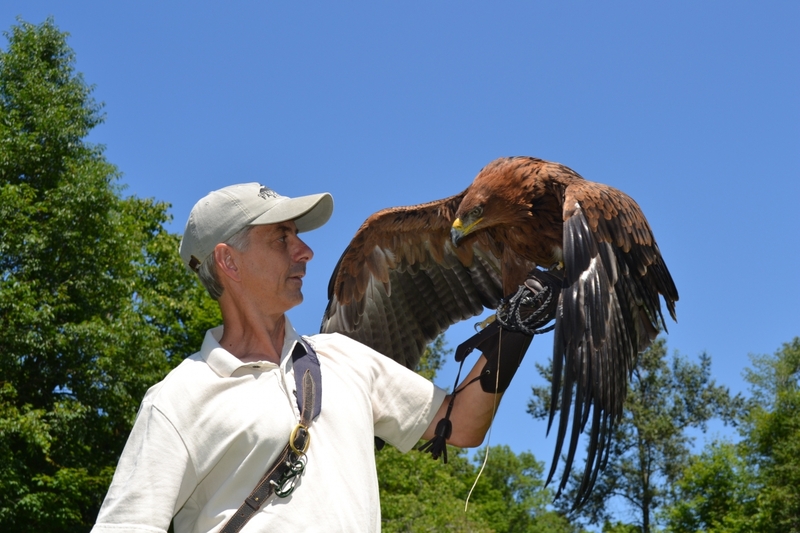 GMFS operates from May 1st - October 31st and offers a variety of experiences for both individuals and groups. 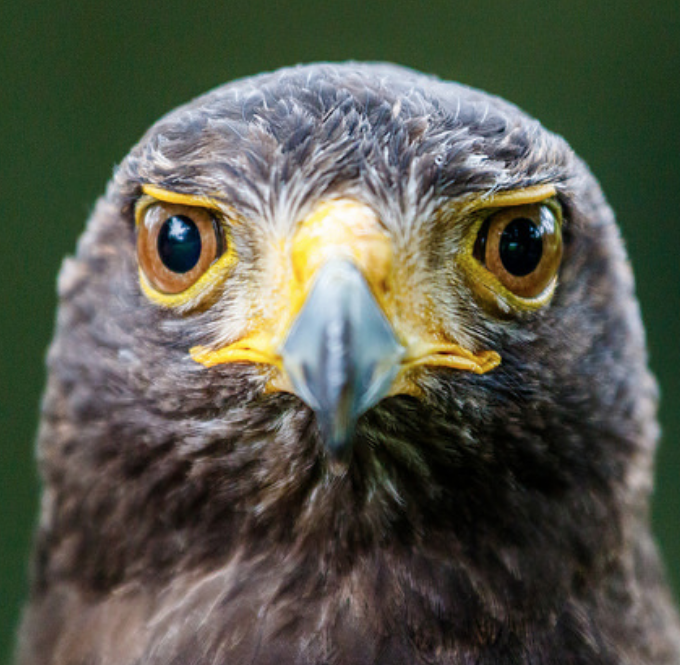 Scroll through to see the whole crew! 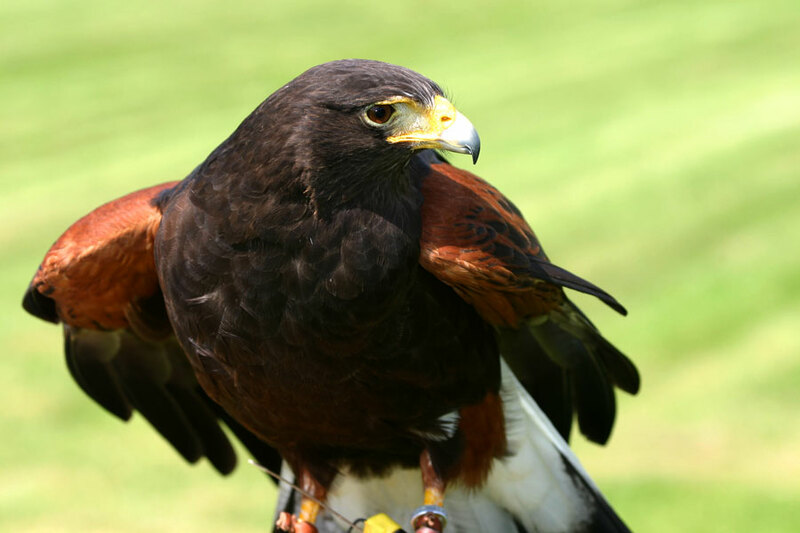 Male Harris Hawk (D.O.B. 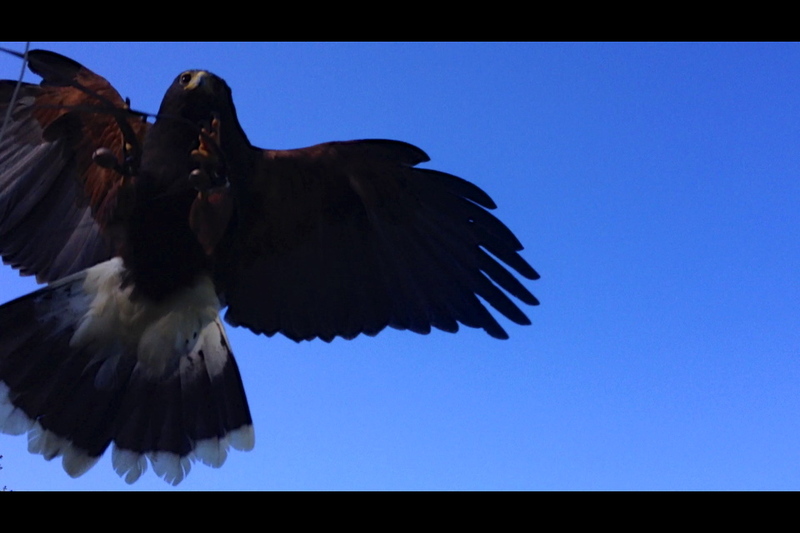 1996) Independent and reliable (as hawks go). 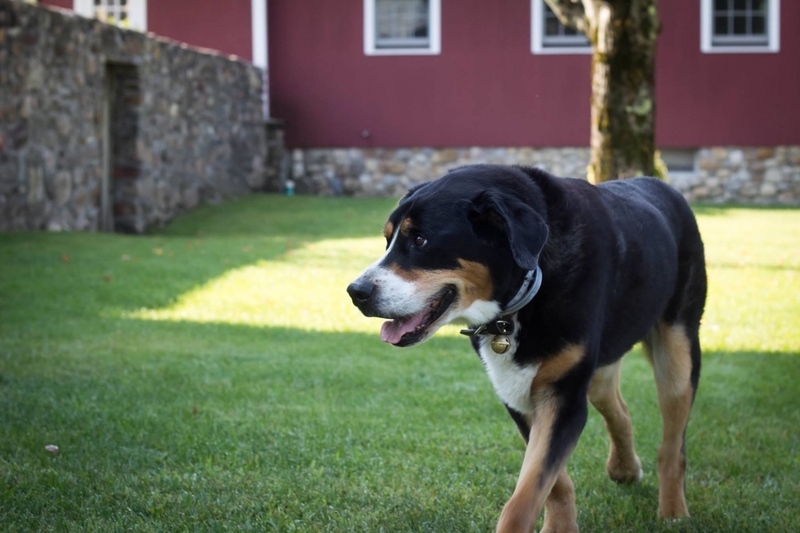 His ability to focus on the job makes him a staff favorite! 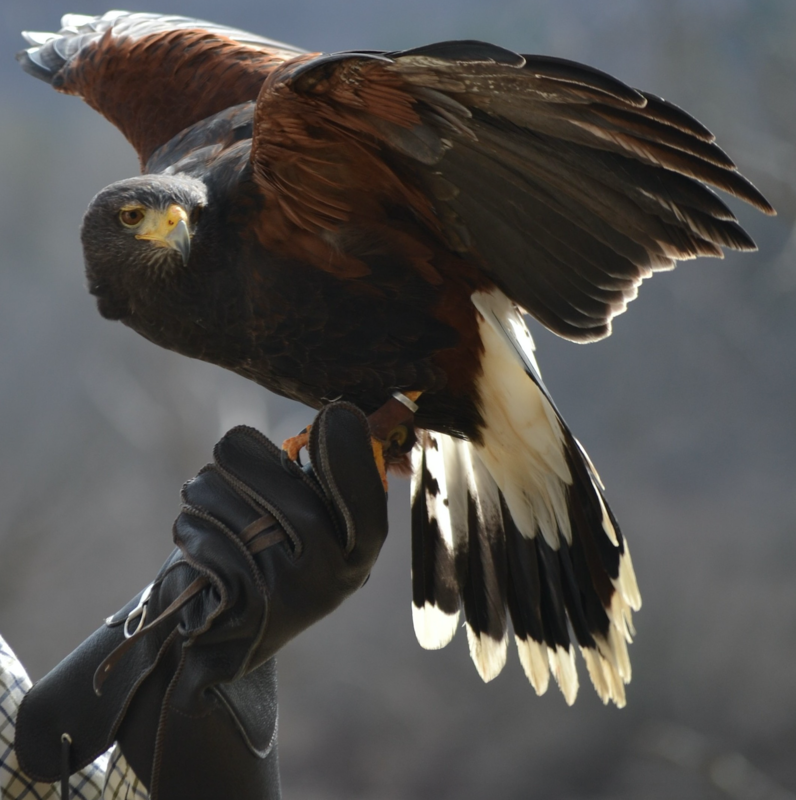 Male Harris Hawk (D.O.B. 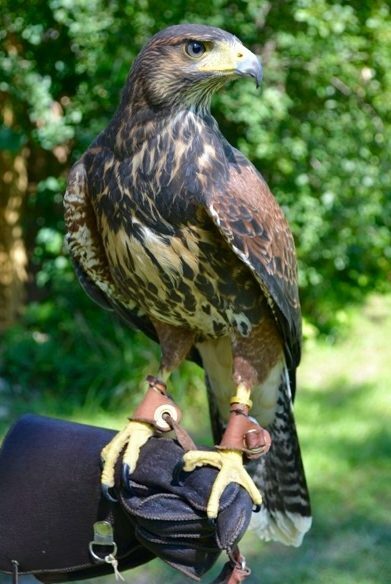 1997) Mycroft was named after the even smarter brother of Sherlock Holmes, and he lives up to it. 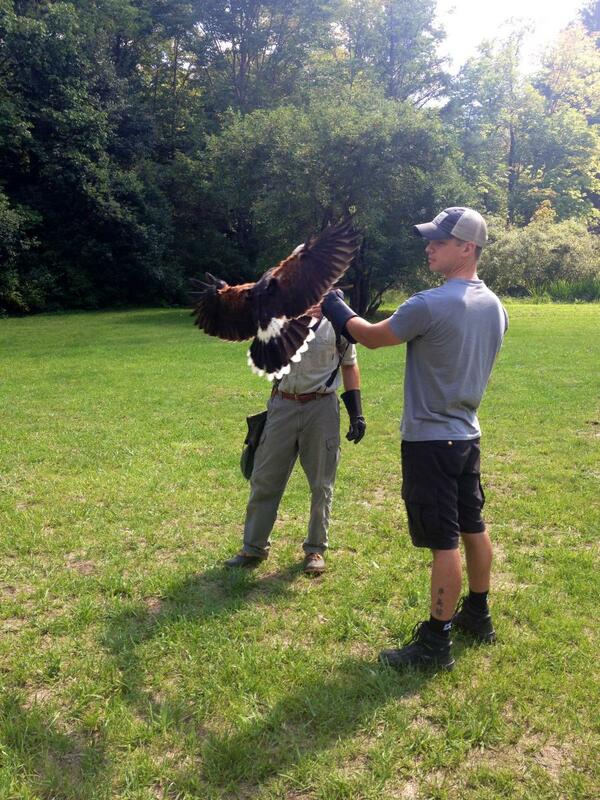 As a result, he has us trained well! 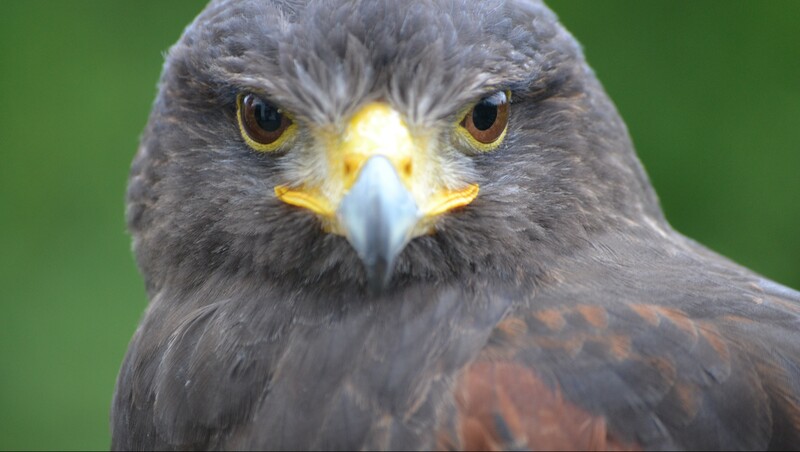 Female Harris Hawk (D.O.B. 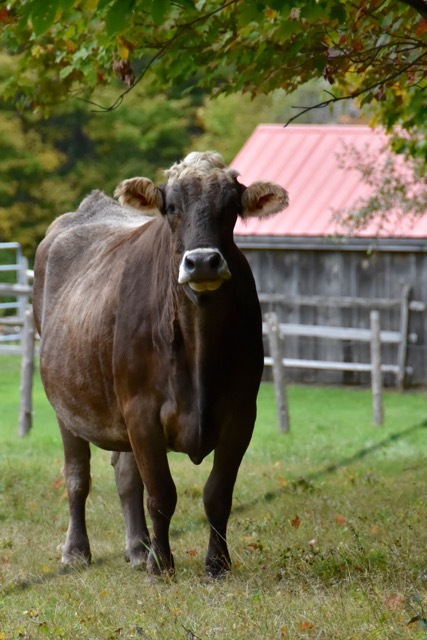 2016) Bailey amazes us all with her mellow temperament and endless curiosity. 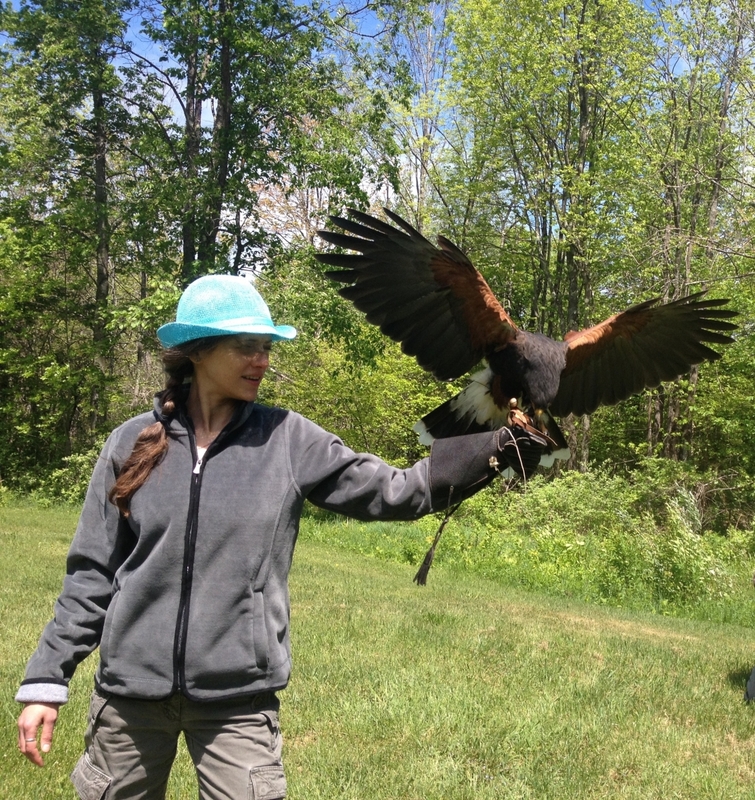 She was also extremely quick to learn and eager to fit into the team. 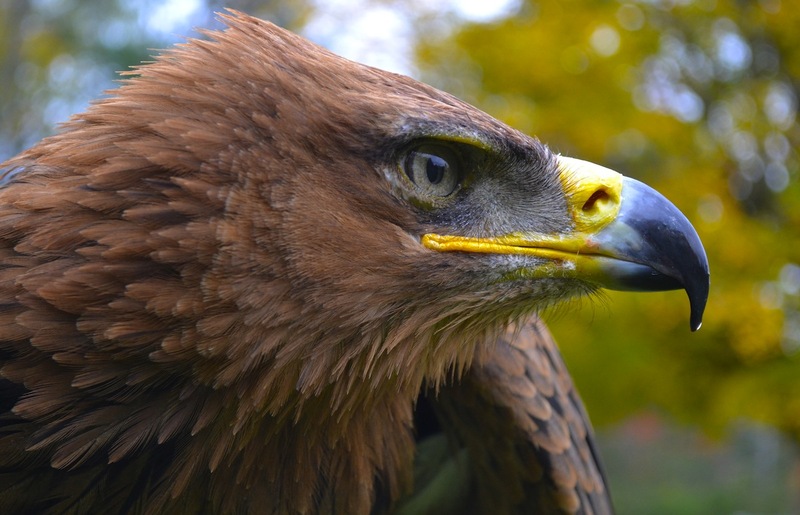 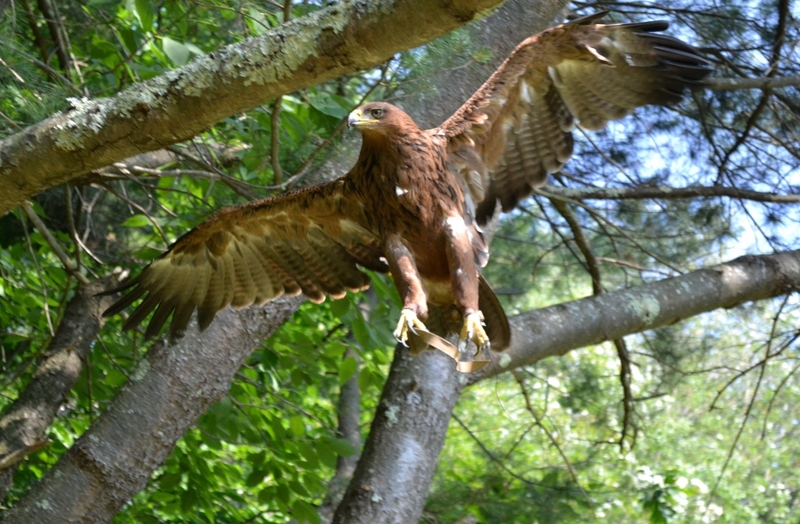 Tawny Eagle (D.O.B. 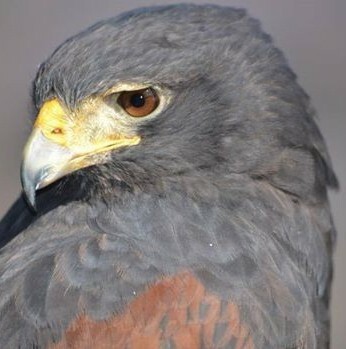 1982) Bred in the UK, Elsie is the "Queen" of the collection. 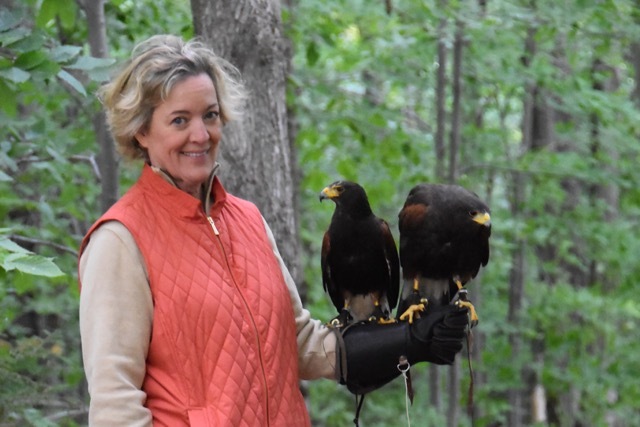 After 33 yrs of educational programs, road trips & hunting, she sees us as her servants & acts accordingly! 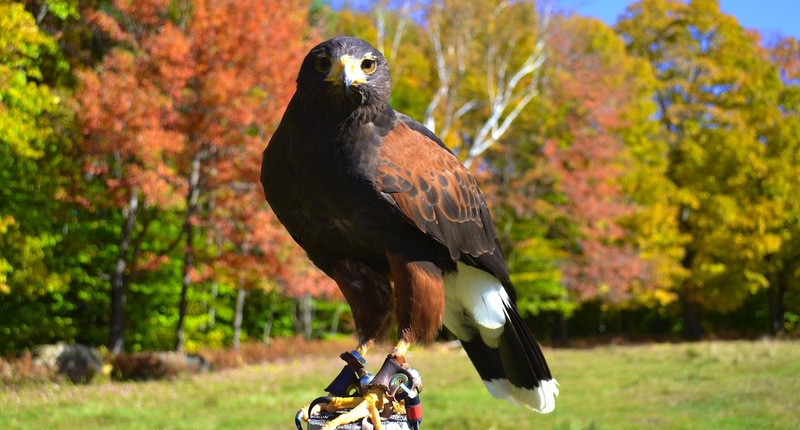 Male Harris Hawk (D.O.B. 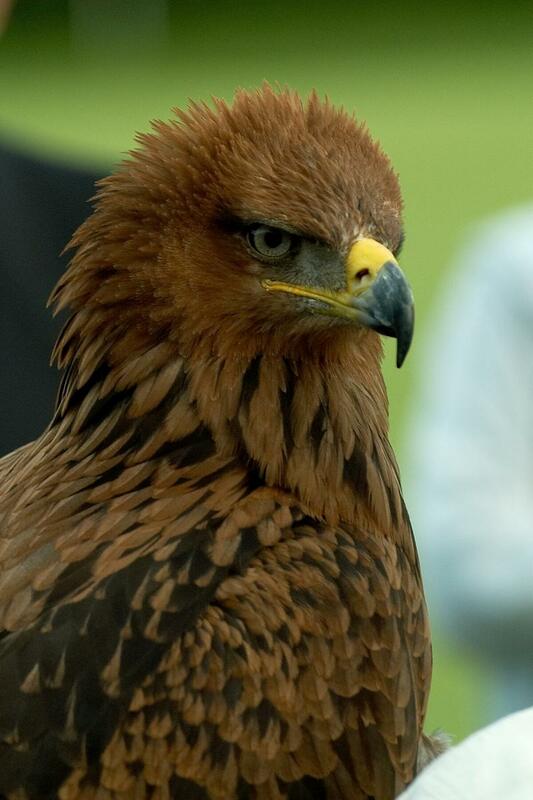 2009) At 6 years old, Monty is the baby of the team. 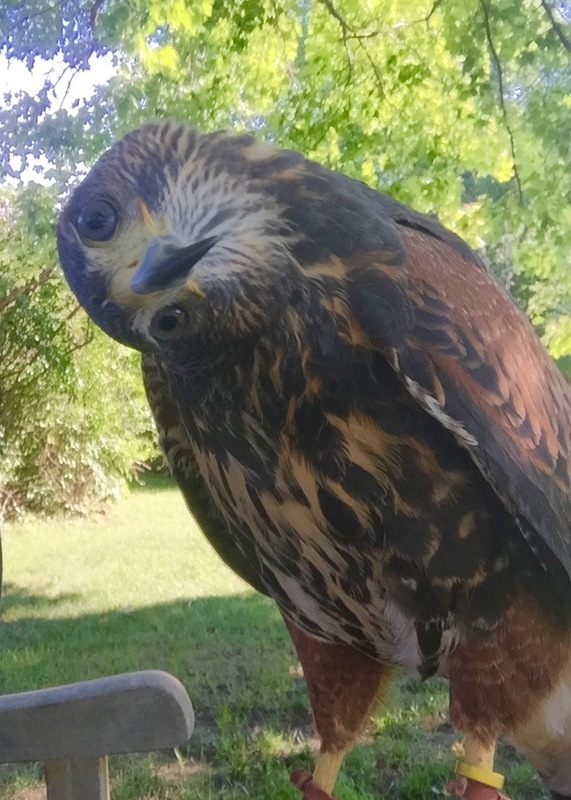 Though skittish at times, Monty is one of the most stylish and eager hawks we've had! 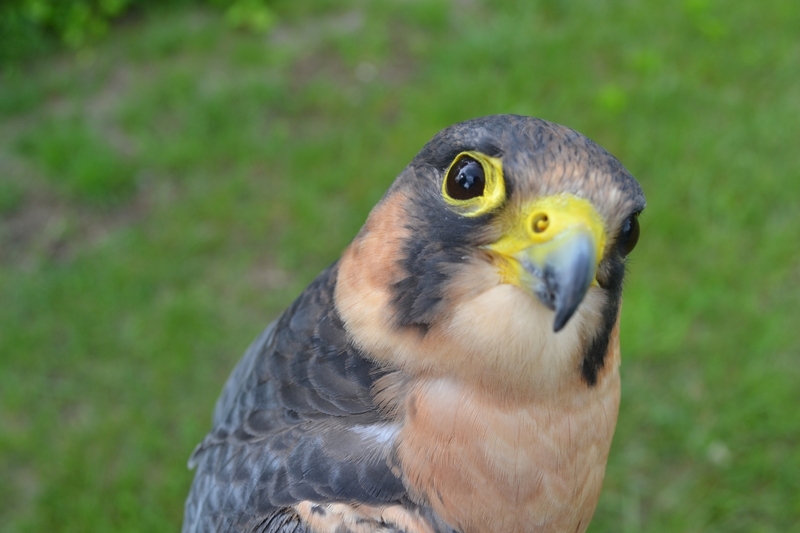 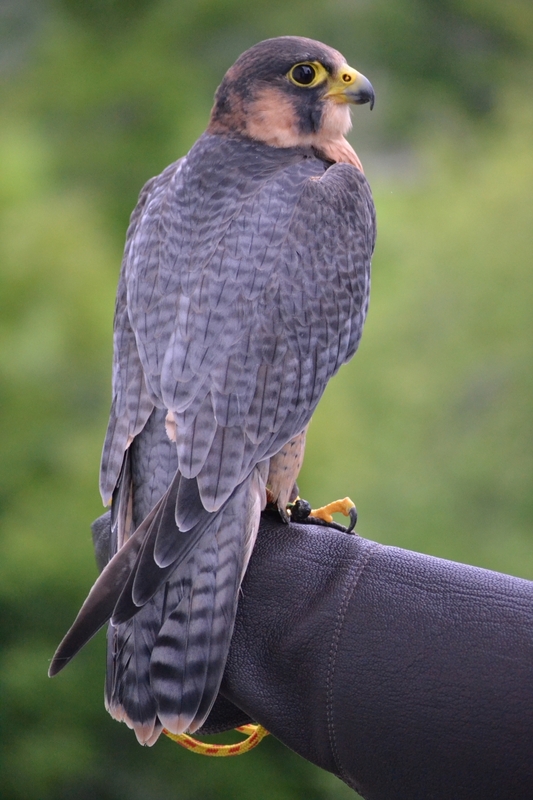 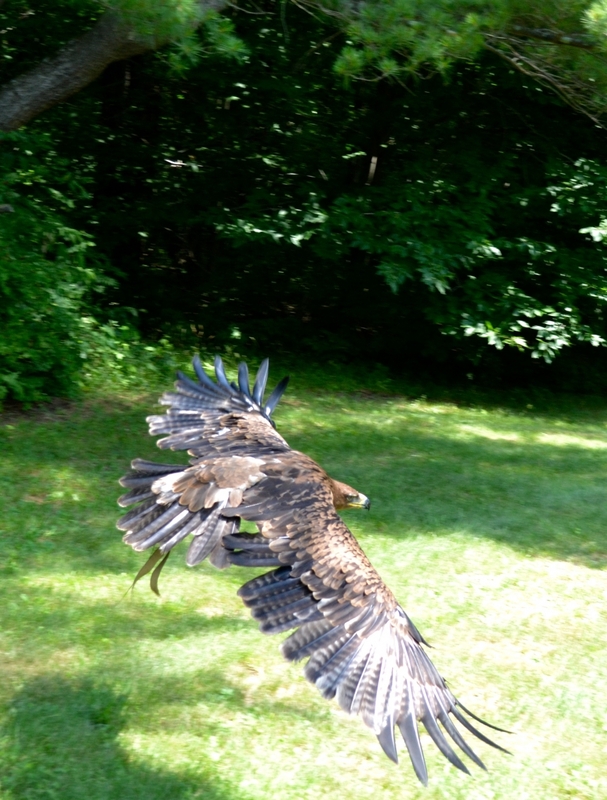 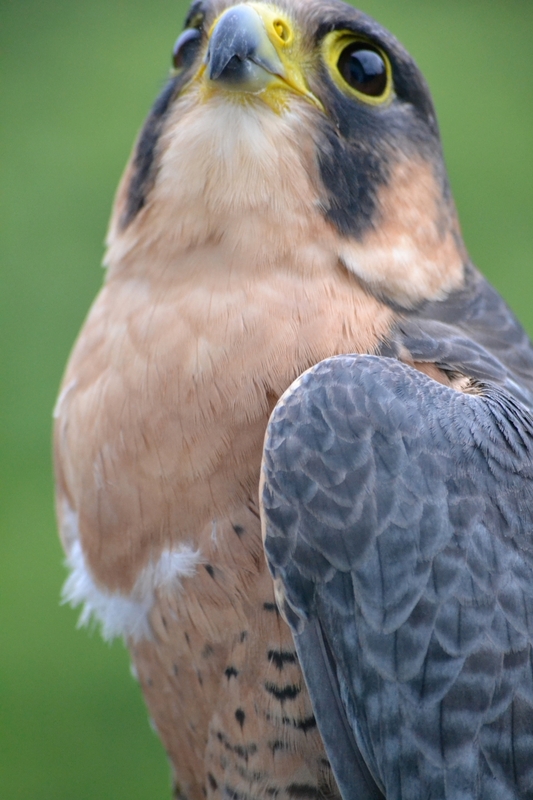 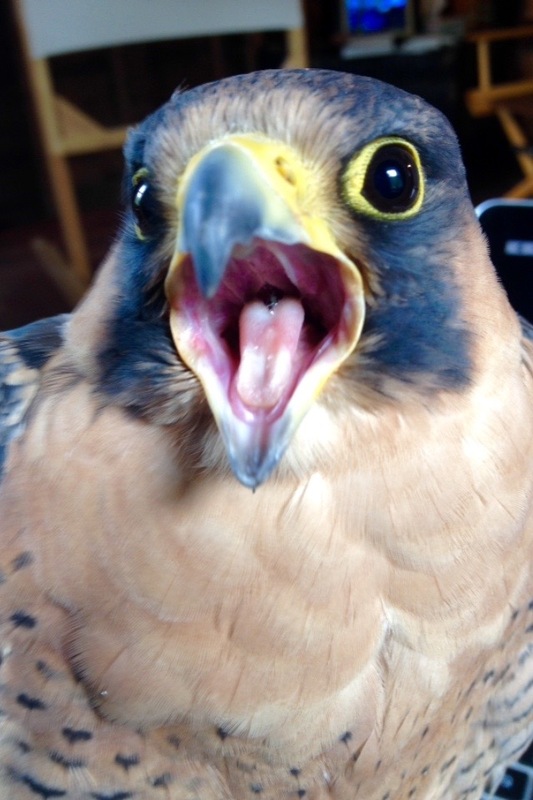 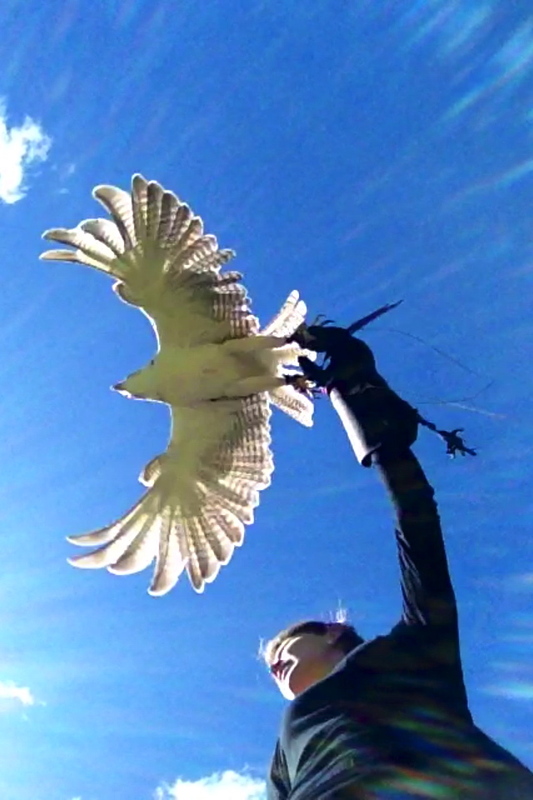 Green Mountain Falconry School Rob Waite greenmountainfalconry@comcast.net Like us on Facebook! 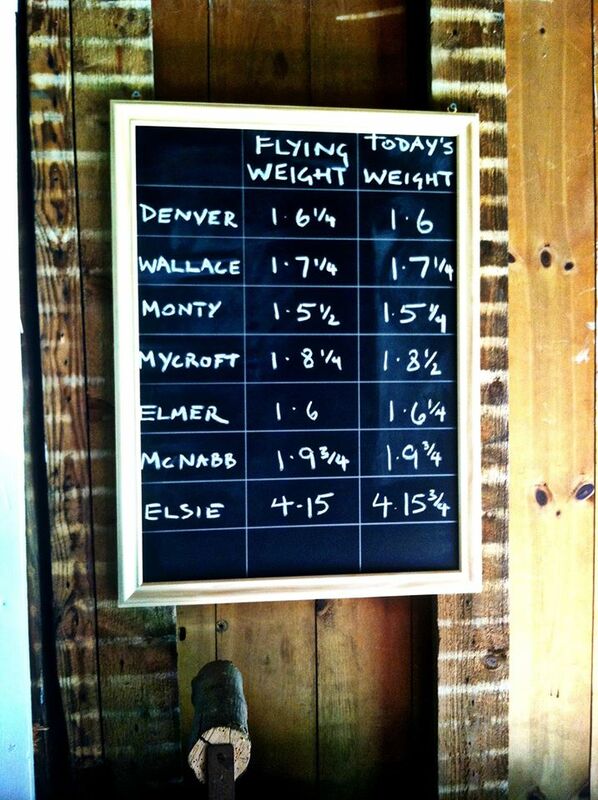 Check us out on TripAdvisor!